Eliminate under eye circles with this revolutionary dark circle treatment. 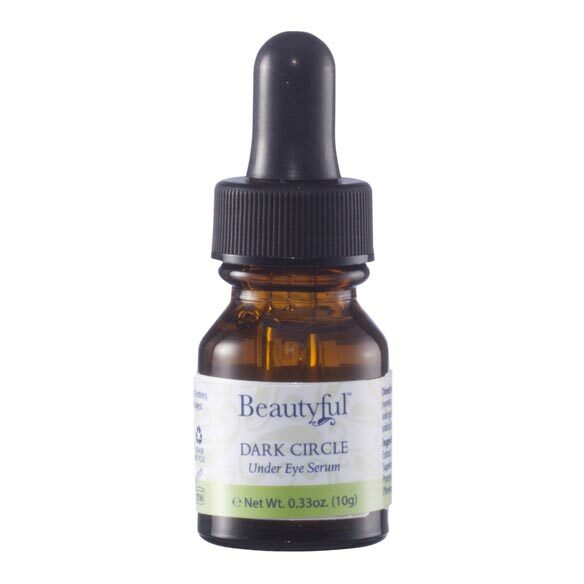 Formulated to stimulate blood circulation away from the eyes, Beautyful™ Dark Circle Under Eye Serum dramatically reduces puffiness and dark circles. Cool and soothing to the touch, it goes on easily for a comfortable application. Apply to clean skin morning and evening. Apply a very small amount to finger and gently press onto area surrounding the orbital bone. My daughter suffers with problem. Hope it will help her. So I can look younger. Daughter has bags under her eyes and all of the stuff she's tried so far off of You-tube hasn't worked. HAVE TRIED MANY PRODUCTS- HOPE THIS ONE REALLY WORKS FOR ME!!! Sure I need this product. As I've got older I have dark circles under my eyes. I work PT in a Assisted Living and one of the residents told me about this product and how good it is. Thank you. It’s about time to try some magic & help my eyes look younger, etc. As I age I notice the dark circles and morning puffiness under my eyes each morning. To hopefully make my eyes look better. I have severe dark circles under my eyes and nothing completely covers them. BEST ANSWER: Thank you for your question. It will last about a month. We hope this information will be of help to you.